I met Helen after a talk I did, she came up to me and said "I need help!" Helen booked in for the 'Works Package' and I gently worked with her through the process of showing her what colours and styles suited her. She had been wearing blue/cool based colours, and had very light blonde streaks in her hair, which washed her skin tone out. Helen has a warm (yellow undertone in her skin) and Spring colouring. So she suits clear, light and bright yellow undertone colours. Helen eventually took up my advice to get her hair colour changed, to blend with her natural warm, dark brown hair and to grow her fringe longer and get her hair cut into more connected layers by my hairdresser. She has an H body shape, long legs and neck, and has a Natural/Classic Personality Style. 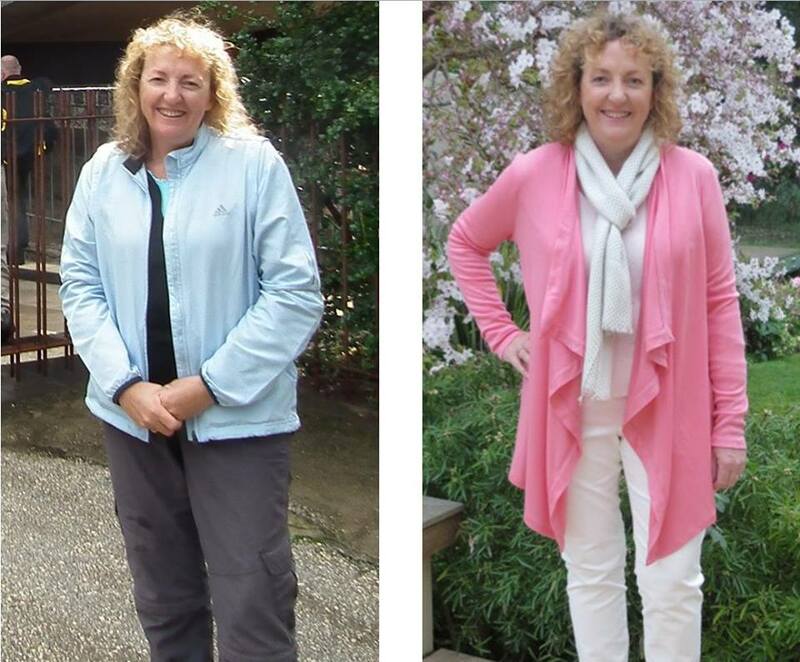 I sourced clothing for her in soft, natural fabrics, with a classic style to them and showed her how to lengthen her torso with longer line cardy's and jackets and to show off her fabulous slim legs with slim fitting trousers. :) I also emphasized how important it was that she stopped wearing boxy straight style tops and jackets, and to wear fitted ones to create the illusion of more of a waist. Helen enjoyed the wardrobe sorting/planning session and the shopping trip, where she could see it all put together her colours, styles and to suit her personality and budget. She now receives many compliments on how she looks and her confidence has improved ten fold!